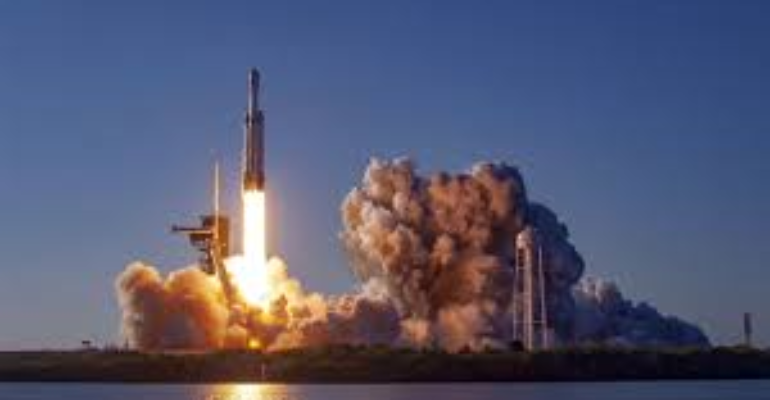 SpaceX's launch of the Falcon Heavy from Cape Canaveral, Florida on April 11, 2019. In the blazing plumes of commercial proliferation into space, SpaceX launched the reusable Falcon Heavy from Cape Canaveral with its first commercial satellite delivery yesterday. Earlier in the day, the Senate Armed Services Committee (SASC) held a hearing on the “Proposal to Establish a U.S. Space Force” with its own acquisition and development agency. “All of us would agree that space is essential to security and progress of the United States. It is a critical component of almost every aspect of everyday life, from communications, financial transactions and navigation to the weather.” – Senator Jack Reed, Ranking Member Senate Armed Services Committee, at the SASC hearing on April 11, 2019. “America has enduring interest in space. And just as the U.S. Navy ensures freedom of navigation of the seas, America’s Space Force must now ensure the freedom to navigate the stars.” – Honorable Patrick Shanahan, Acting Secretary of Defense, at the SASC hearing on April 11, 2019. “China and Russia had developed capabilities to contest our ability to operate across all domains. This includes space, which is now a fully contested warfighting domain, along with sea, air, land and cyberspace.” – General Joseph Dunford, Chairman of the Joint Chiefs of Staff, at the SASC hearing on April 11, 2019. “But every physical domain we have, when it becomes contested, we create a military service to deal with that. So we’re going to have a Space Force someday. I think what the committee has to decide is when is that going to happen. And I think now is the time to go to what the chairman said. You want to get ahead of the problem, not trail it. Not come in the response to a catastrophe. Get ahead of the problem.” – General John Hyten, Commander of U.S. Strategic Command, at the SASC hearing on April 11, 2019. ”I would say that it is absolutely imperative that we change the system of acquisition this modeled more for the Cold War. We have to buy things faster and smarter.” – Honorable Heather Wilson, Secretary of the Air Force, at the SASC hearing on April 11, 2019. These four testifiers represent the Department of Defense’s most qualified leadership on putting forward a new Space Force, with objective intent and reasoning to make the nation safer than it is today and to stay ahead of the threat in the near future. This would include a space sensor layer, which General Hyten stated the threat requirement shows needs to be placed by the mid-twenties. Their debate, their lively discussions, and their sound reasonings of advice were of equal breadth and depth to the diversity of views and questions from an engaged Senate, representing their constituents, on why a new Space Force is necessary. (From left to right) General Joseph Dunford, Jr., Chairman of the Joint Chiefs of Staff, Honorable Patrick Shanahan, Acting Secretary of Defense, Honorable Heather Wilson, Secretary of the Air Force, and General John Hyten, Commander of U.S. STRATCOM, testifying before SASC on April 11, 2019. The recent Indian anti-satellite weapon (ASAT) test on March 27th, in which India destroyed their own low-earth orbit satellite and resulted in 400 pieces of debris, demonstrated a war fighting space domain capability to its enemies and threats and shows the proliferation reality of nations, friend and foe, congesting and contesting the space environment. “India is an ally, we’re not talking about an adversary doing something — we’re talking about them testing some capacity, but then that creates challenges for all kinds of uses of space — how should we be solving problems like that? General Hyten, you looked like you wanted to jump in?” – Senator Tim Kaine, Senate Armed Services Committee, at the SASC hearing on April 11, 2019. “So Senator Kaine, I think it — the first lesson from the Indian ASAT is just a simple question. Why did they do that? And the answer should be simple, I think, to all the committee looking at it is that they did that because they’re concerned about threats to their nation from space. And therefore, they feel they have to have a capability to defend themselves in space.” – General John Hyten, Commander of U.S. Strategic Command, at the SASC hearing on April 11, 2019. The new Space Force priority is to get the rapid deployment of a global constellation of space-based discrimination sensors for persistent birth to death tracking and targeting of any and all missiles, to include both Hypersonic Glide Vehicles (HGVs) and ballistic missiles launched from the air, sea, and land domains. A sensor capability to discriminate ballistic missiles, specifically complex ICBMs, is important because they spend the majority of their flight time and are intercepted in the space domain. Space-based discrimination sensors are the most efficient and effective at providing persistent global tracking that then enables interceptors to be the most lethal and effective against current and future complex threats. “I think the Space Force structure will likely build the sensors that we’ll see, hypersonics. But I think the other services will more likely build the hypersonic capabilities because they will operate in their domains. The hypersonic capabilities we’re talking about right now are not space capabilities. They operate from the sea, from the land, from the air, through the air. And so that structure makes sense, to go through there.” – General John Hyten, Commander of U.S. Strategic Command, at the SASC hearing on April 11, 2019. “We’ve already acted to establish the United States Space Command, which will ensure we can most effectively operate in and from space. Taking the next step to create a Space Force will allow us to develop and maintain a singular focus on developing the people, the capabilities, the doctrine and the culture we’ll need to maintain our competitive advantage in space. 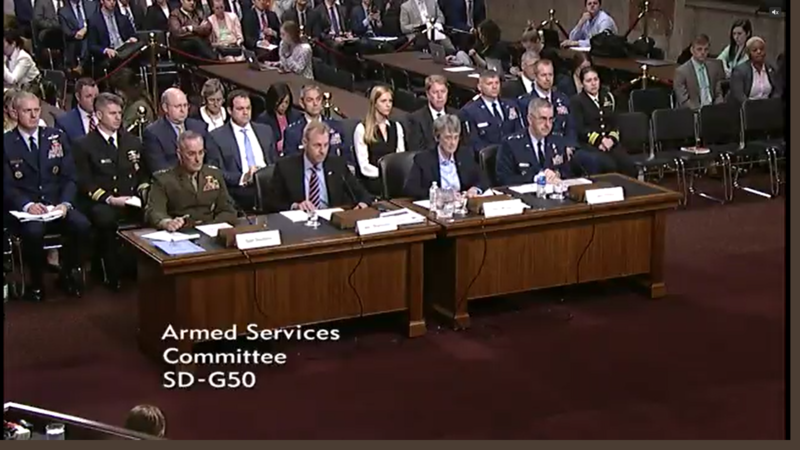 Together, I believe these steps will accelerate our efforts to develop, field and operate the capabilities we’ll need for joint warfighting in the future.” – General Joseph Dunford, Chairman of the Joint Chiefs of Staff, at the SASC hearing on April 11, 2019. MDAA’s mission is to make the world safer by advocating for the development and deployment of missile defense systems to defend the United States, its armed forces and its allies against missile threats. MDAA is the only organization in existence whose primary mission is to educate the American public about missile defense issues and to recruit, organize, and mobilize proponents to advocate for the critical need of missile defense. We are a non-partisan membership-based and membership-funded organization that does not advocate on behalf of any specific system, technology, architecture or entity.